Solitaire Chess Eliminates The Need To Find A Suitable Opponent. I’ve always liked chess but never been very good at it. While the basics are easy to pick up, the ability to scrutinize every situation on the board and think several turns in advance has always eluded me. The biggest obstacle to improving one’s chess game is that it requires an opponent of a very specific skill level. An opponent too easy won’t teach you anything, and an opponent too advanced makes for a very painful game. Solitaire Chess, however, provides 60 different solo-play puzzles, increasing in difficulty to take you from beginner to expert. The puzzles teach you to think in sets of moves by putting arrangements of pieces on a quarter chunk of a chess board and asking you to remove one piece at a time until only one remains. 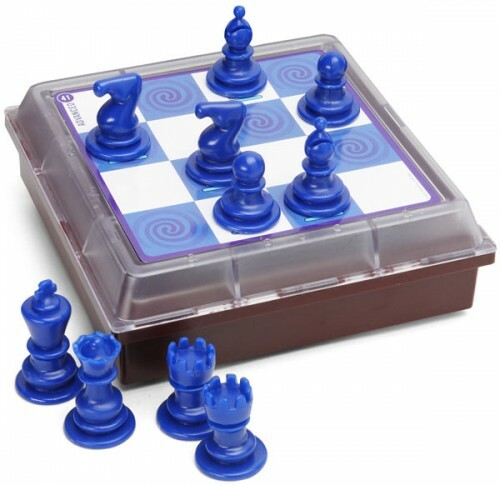 The puzzle cards stow in the base, along with two of each chess piece (but just one King and Queen) for easy storage. It’s designed for ages 8 and up and runs for $20 at Thinkgeek or $15 at Amazon. By David Campisi on 06/28/11 • Leave a comment! Ka-Bar, a military supplier, has just released a new line of knives created for the sole purpose of fighting off the undead. The manufacturer says that the “ZK knives are designed to perform under the most rigorous, unexpected and apocalyptic situations.” Yep, the zombie movement has reached that level, now. The 5 knife “ZK” line ranges from the 16” machete style Pestilence Chopper Knife, to the stealthy 3” bladed Acheron Skeleton Knife. The knives are shown in bright green handles, but they come with black replacement handles in case you need to sneak up on … zombies? Ka-Bar’s website doesn’t yet feature these bad boys, but it looks like the kind of website a military weapon supplier would run if it did its own coding. For the moment, Amazon seems to be the best place to buy them. The knives each run around $40 to $50 but you can get the smaller Skeleton Knife for $8.91. By David Campisi on 06/21/11 • Leave a comment! It’s summer time again, and that big ball of nuclear fusion has unleashed its horrific fury on us in full force. Fitness experts, scientists, and moms have always preached the benefits of fresh air, but the summer sun has long deterred geeks from stepping foot outside. 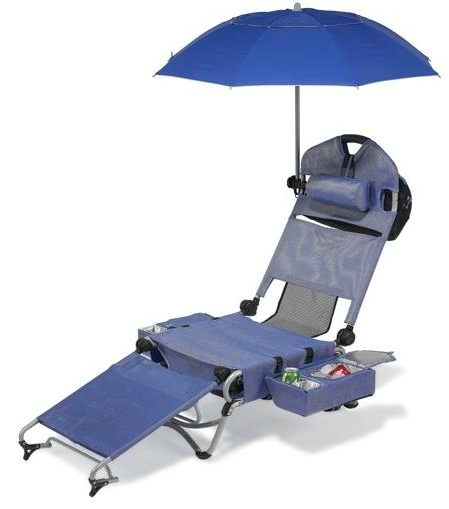 Fortunately, Hammacher Schlemmer has designed a chair that brings all the luxuries of indoors outdoors, so maybe it’s time we geeks give this “outside” another chance. This monster of a chair is what you get when you cross cooler, coffee table, and chair DNA into a glorious hybrid. Providing ample shade is a 4′ diameter umbrella that can pivot to any angle to deny the sun’s fiery gaze. Each armrest sports a cupholder (in case, for some reason, you like to go akimbo with your drinking), and inside each armrest lies an insulated compartment that can keep an extra 6 canned drinks cold. Another non-insulated compartment rests under the seat to store reading materials, sunblock, etc. The footrest can also detach and function as an endtable or lapdesk. The chair is made of a breathable, soft mesh and even features an adjustable pillow to kick the comfort level up a notch. 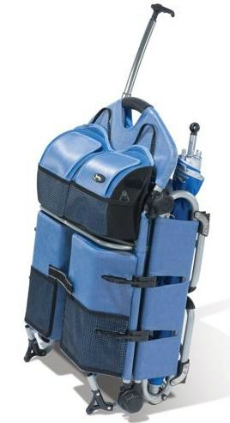 This whole thing folds up into a rollable suitcase style rig, but it also features shoulder straps should you prefer to carry it like a real outdoorsman. The chair runs at $300, but there is also a scaled-back sports-style model offered for $75. By David Campisi on 06/14/11 • Leave a comment! When it comes to reading, I can be very finicky about the experience; I guess I’m the reading equivalent of an audiophile. I’ve spent a lot of time looking for the perfect reading environment, and, apart from providing a nice thunderstorm, the “Long Form Library” seems to meet all the requirements. You sit reclined, curled up in the middle of the furniture while the overhead lights provide ample reading light and the accent lights in the rim give a dim glow to the rest of your room. The bottom of the furniture is designed to rock gently back and forth without tipping over (For this reason, this might not be a good buy if you have dogs or cats that like to crawl under your furniture). The designer claims that the compartments surrounding the reading area will hold around 400 books or DVDs, but, from the pictures I’ve seen, that number seems to be quite an exaggeration. The Long Form Library is a prototype; at the moment, only one exists, and it costs $9500. On the designer’s Etsy page he says that his company is going to begin machine-producing these, which should greatly reduce the cost. However, if you’re into handmade things or heavily exhibited original designs, this one’s for you. 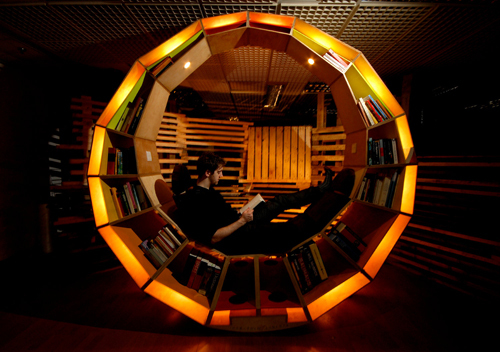 If you live in the UK, the designer will deliver and assemble the library himself. If you’re outside the UK, there is an extra $500 tacked onto the price, and the shelf comes in 15 “modular boxes” that you have to bolt together, a process that should take about two hours. By David Campisi on 05/12/11 • Leave a comment! If you’ve ever seen pictures of the Hells Angels, you’ll notice that there is a certain look required to not look ridiculous on a big Harley. 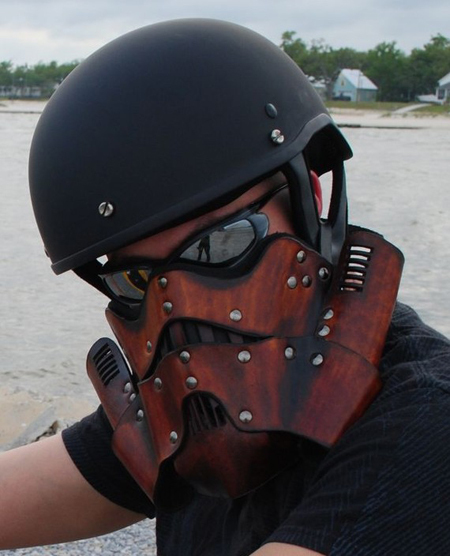 If you’re like me, you could probably do with an intimidating mask befitting a soldier of an evil galactic empire. There is something about the Stormtrooper mask that makes the troopers stand out from the common soldier type shown in many sci-fi works. In fact, the helmet design featured in the movies has barely changed from the earliest concept art depicting these white-clad soldiers of the empire. Fortunately, an Etsy seller, EpicLeather, has incorporated this classic, lasting design into a leather motorcycle mask. The mask shown in the picture is of the tanned leather variety, but, by special order, the mask can be made in 10 other colors, including, most notably, the original white. These $200 dollar hand-crafted leather masks are lined with foam and suede leather for comfort. 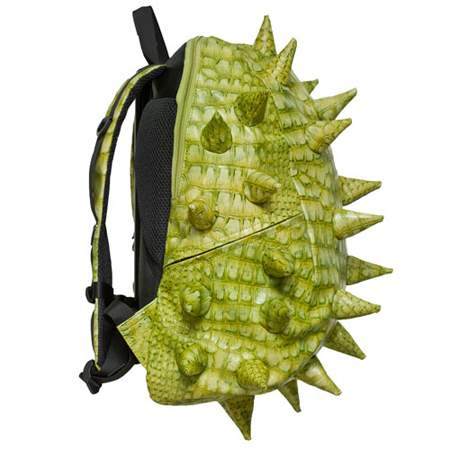 As far as practical uses are concerned, it will shield your face from the wind and protect against the occasional swallowed bug. You’ve grown up. Gone are the days of toting your lunch in something representative of your favorite TV show. Unless you work in an extremely geek-friendly environment, that old Thundercats lunchbox is just going to get you laughed at (or your food stolen, just like it did in middle school). On the other side of the spectrum, that boring brown paper sack lets everyone around you know that you’re not worth talking to. Instead, you need something to protect your food and dignity by broadcasting an air of sophistication and importance. ThinkGeek’s Organ Transplant Lunch Cooler does just that. 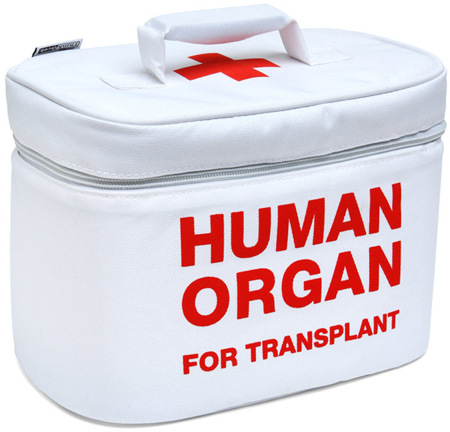 The lunch cooler so closely resembles a legitimate organ transplant cooler, it’s probably best to avoid this product if you work around hospitals to avoid any disgusting mix-ups. While the insulation in this $20 lunch box probably isn’t good enough for organs, it will certainly keep your lunch cool and make you look even cooler.